Until this year, the girls are 16 and she wanted to honor her mom with a photoshoot. We started brainstorming different ideas of how to include the number and decided on a banner. Crystal ordered a banner but it wasn’t delivered in time for the shoot so she had the girls create one…another special touch that made this so incredibly special. We met on a day that was grey and overcast but the sun peeked out just as we started shooting and made for a beautiful session with these girls. Hannah, Madison and McKenna Happy Sweet 16! I am so thankful to have been a part of your special celebration! This sweet boy has been a joy to capture over the years. Owen's mom, Sarah has made it a priority to capture a milestone portrait session each year around his birthday. 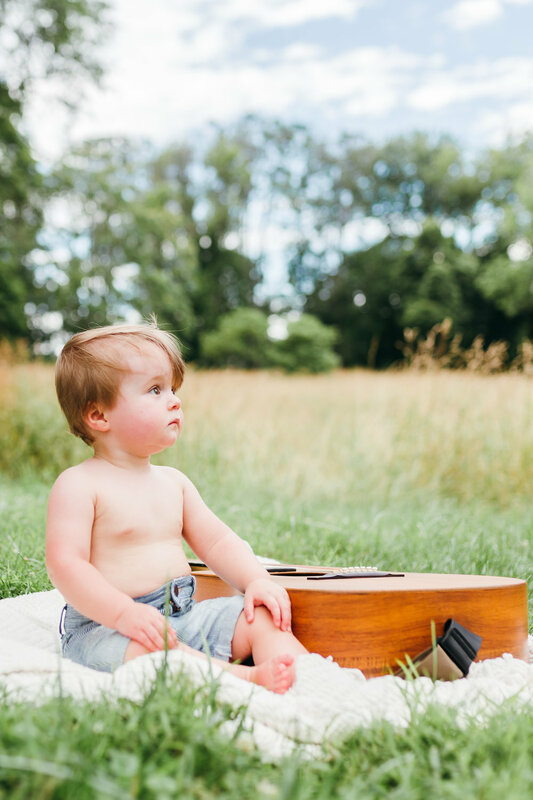 We shot his newborn session at their home and then followed up with his 1 year session and cake smash at the beautiful Hampton Mansion Historical Site. This year we met again at the Hampton Mansion and I have to say it was my favorite session of them all. I left the session with confirmation that my favorite way to capture children is to allow them to play and interact with the ones they love. Owen was hesitant and shy when they first arrived but it didn't take long to begin to see his personality shine. It may have taken some tricks from my "mom of boys arsenal" but it was worth it! If you're interested in shooting a Milestone Session this fall contact me soon as my calendar is filling up quickly. I'd love to help you capture images that will help you remember these childhood days that pass by so quickly. There is nothing sweeter than capturing a couple at this incredible time of their marriage. I was truly honored to shoot Palmer and Hannah Powis' maternity session a couple of weekends ago. Their anticipation, wonderment and love for one another and this child was evident during this session. They are high school sweethearts that met and got married in Utah. They moved here to Baltimore for Palmer to play baseball. Their baby girl has no idea how blessed she will be with these two as parents. Palmer and Hannah I only spent a little over an hour with you but it was such a gift. Thank you for trusting me to capture you as you become a family of 3. 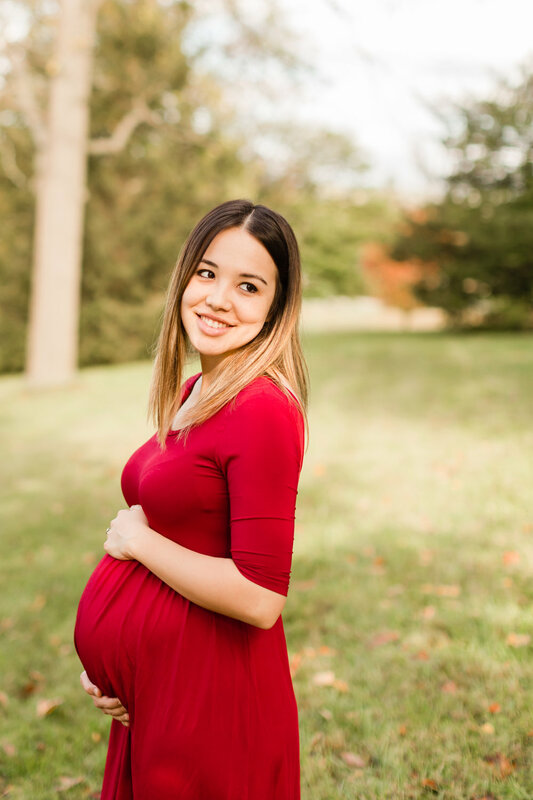 Click here to inquire about scheduling your Maternity or Newborn session. Someone is just a little excited to celebrate his First Birthday this weekend! 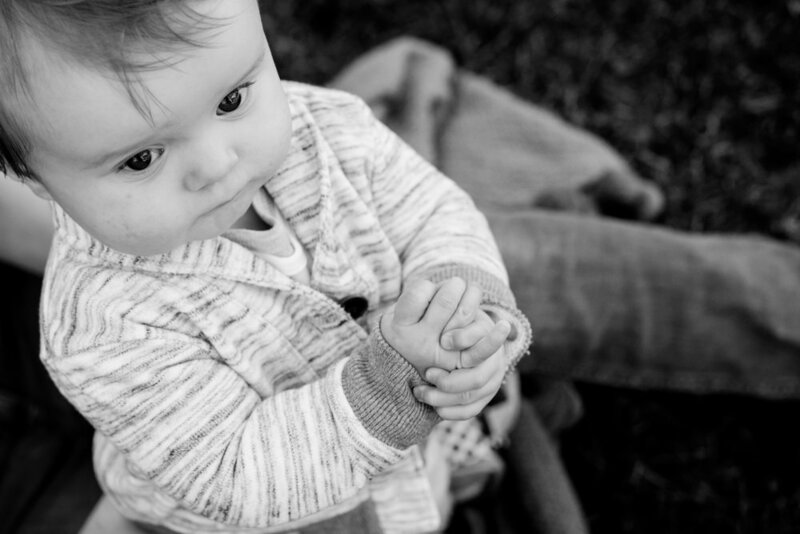 Milestone Sessions are a great way to capture your little one at a specific stage. We all know they change so quickly in those first few years. I like to allow the child time to explore and play for these sessions. This ensures that the images we capture are true to who they are at that specific slice in time. Abram was fun and very expressive as we played together. His mother Kasandra, did a phenomenal job of choosing their outfits. They brought out the rich warm tones of fall. She also brought this chair along that she was photographed in as a young child. This session was a gift from his grandparents. Enjoy this collection of images from my session with Abram and Kasandra. Contact me here if you're interested in scheduling a Milestone Session. It was a joy to meet Owen a couple of weeks ago to get a head start celebrating his first birthday! Remember this adorable little guy at 6 months? I love the opportunity to photograph a baby several times over their first year because they change so fast! We ended this photo session with a cake smash...I think it's safe to say he enjoyed his cake! 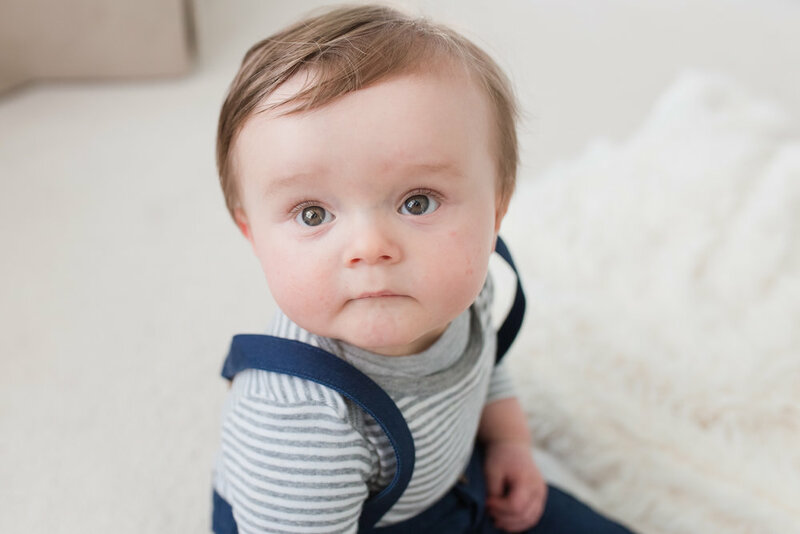 Sarah contacted me to capture their little boy Owen for an in-home milestone session. She and her husband had invested in newborn portraits shortly after Owen's birth and truly valued those images. But now that he was 7 months so much had changed. She didn't want to let another month go by without capturing his sweet personality. We met at the beautiful Reter home on President's Day for a fun session with Owen. Be sure to scroll through the blog and see who else posed perfectly for pictures.